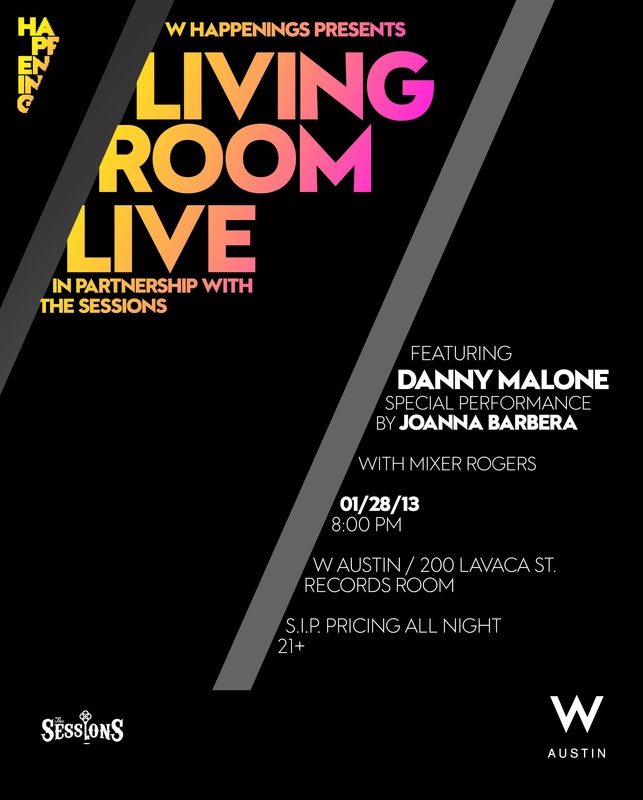 The next Living Room Live installment will be Monday January 28th from 8p-12a at The W Hotel in Austin TX. It is produced by The Sessions and features sets by Danny Malone and Joanna Barbera & Mixer Rogers. NO COVER. Hope to see you. This entry was posted in Shows and tagged Austin, Cam, CJ, Hotel, Living Room Live, Mixer, Mixer Rogers, Music, Party, Rogers, Sessions. Bookmark the permalink.